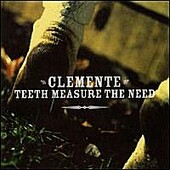 Roots-infused indie-rock with a strong use of emotion, Clemente's brand of Americana also incorporates soul into its sound. Making it a powerfully moving blend of gentle guitars, light percussion, and moving rhythms, which sometimes go behind the tenderness of the music and offer up a more rocking backdrop to push the songs further. Though, whether they're mellow or picking things up a bit, Clemente can always reel you in with a friendly voice and a story to spin. It's this lyrical ability that lift the music above the mediocre and take it to the next level, giving it some lasting power and giving the listener something to latch onto. I'll give it a B-.